Up to 8 in (20 cm). Sexes show only minor differences; male is olive-brown on the crown, nape, wings and dorsal surface; black throat patch extends up around the eyes in a mask. Yellowish patch on cheek area, another on the wing where it meets the shoulder at rest; underparts are whitish with some grayish touches. Bill is yellow and pink. Female is more brownish and lacks throat and cheek patches. As in most hon-eyguides, the outer retrices of the tail are white in both sexes and are shown to advantage in flight. burrows, while bee-eaters (Melittophagus spp. ), ant-eating chats (Myrmecochlica spp. ), and swallows, all parasitized by the greater (and other) honeyguides, nest in the roofs of the burrows. Large for a honeyguide, lively and aggressive. Individuals patrol known territories, visiting and spot-checking bee nests, and keeping their senses alert for new ones. They will also follow humans and visit human campsites, not always for beckoning and guiding. The male's most oft-heard call is "vic-tor," repeated from six to 11 times in rapid staccato, perching erect with throat feathers slightly puffed out. Males put on aerial attraction displays for females, simplified versions of the lyre-tailed honeyguide's performance. 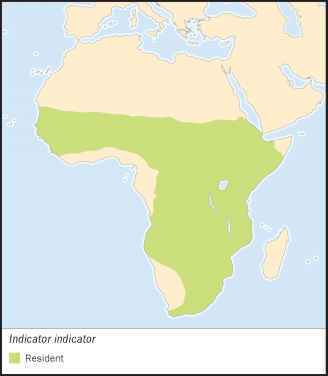 The greater honeyguide male may also put on an act wherein he circles around and above a female, making drumming sounds with his wings. The male will alight on a branch near the perching female, then slowly approach her, spreading his white-bordered tail, fluttering his wings, puffing his feathers, and making a low, "chrrr" call. 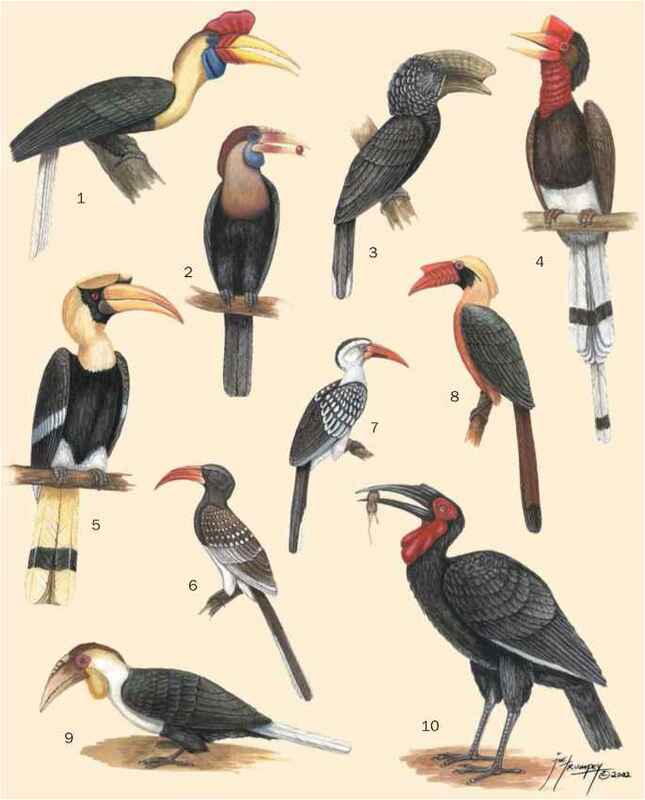 Females parasitize at least 40 species, including barbets, kingfishers, bee-eaters, hoopoes, and woodpeckers.